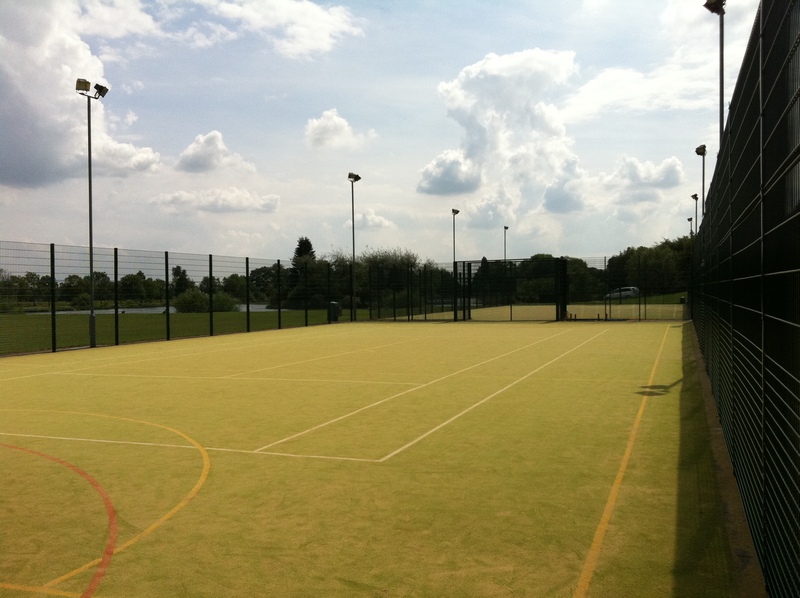 We provide a range of different sand dressed services for 2G grass sports pitches at schools, clubs and leisure centres throughout the UK. 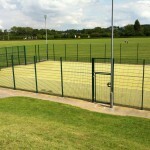 As this specification of surfacing is most commonly used for hockey pitches, our services focus around installation and maintenance of hockey surfacing. 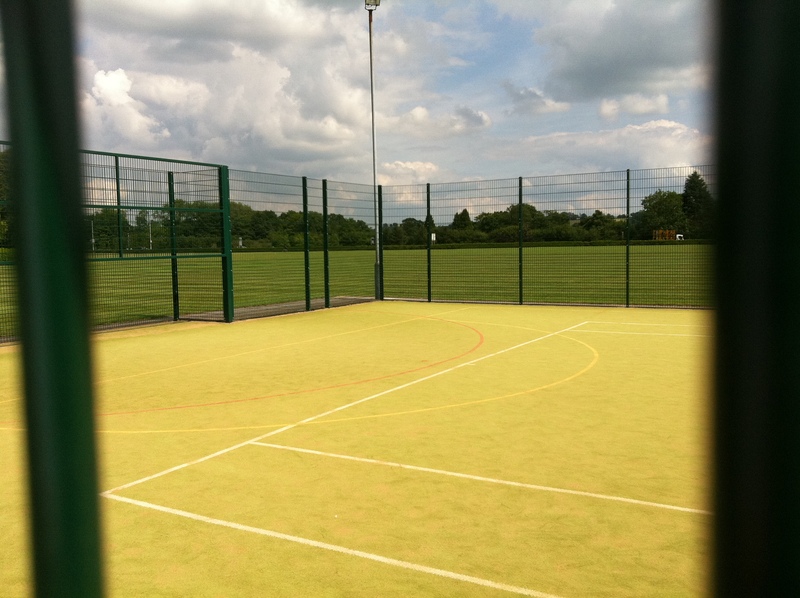 We also provide additional fencing, floodlighting and sports equipment for these areas to make the as efficient as possible. There are a number of designs available for these pitches and we can customise the appearance and playing qualities to suit you. Whether you want to create a recreational practise area or a pitch for competitive matches, we’ll have the perfect specification. Just contact us today to speak to an expert about the costs for all of our services. Make sure to give us as much information as possible about the required work so we can put together an accurate quote. 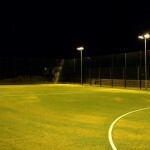 A sand dressed pitch is a 2G artificial grass surface which is typically used for playing hockey. It is a synthetic turf carpet which is designed to mimic natural playing qualities and offer good ball roll characteristics. 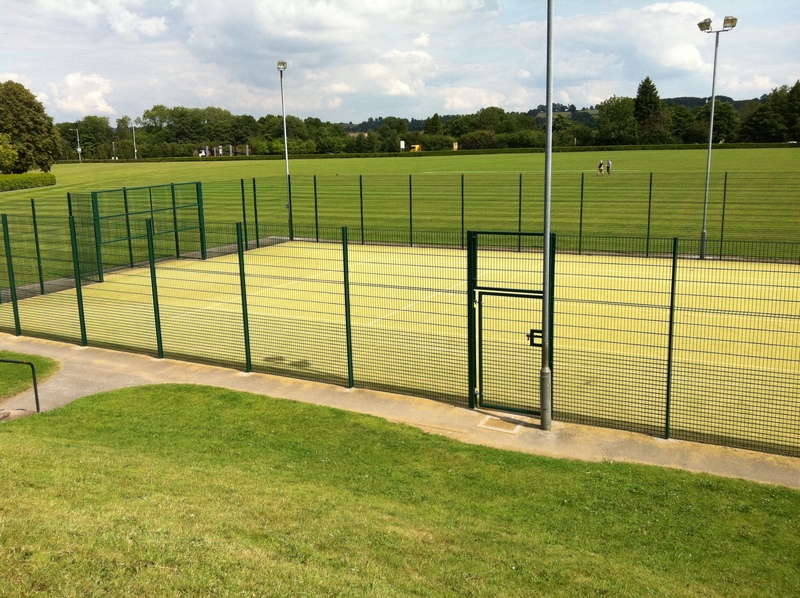 These are frequently installed at schools and sports clubs as they are much more durable and strong compared to natural turf. There is a thin layer of sand installed within the grass fibres of sand dressed surfacing to keep them stable and allow the ball to glide smoothly. 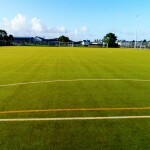 This is why 2G surfaces are ideal for hockey pitch facilities as they provide the most effective performance. The carpet surfacing we supply as part of our sand dressed services is hard wearing, durable and provides excellent performance and safety characteristics for both professional and recreational use. Our team are able to complete a full installation for one of these facilities. The sand dressed pitch construction process will be carried out to suit the client’s budget and performance requirements. Generally the work will involve preparing the groundworks, fitting a sub base, laying the synthetic carpet and applying the sand infill over the top. 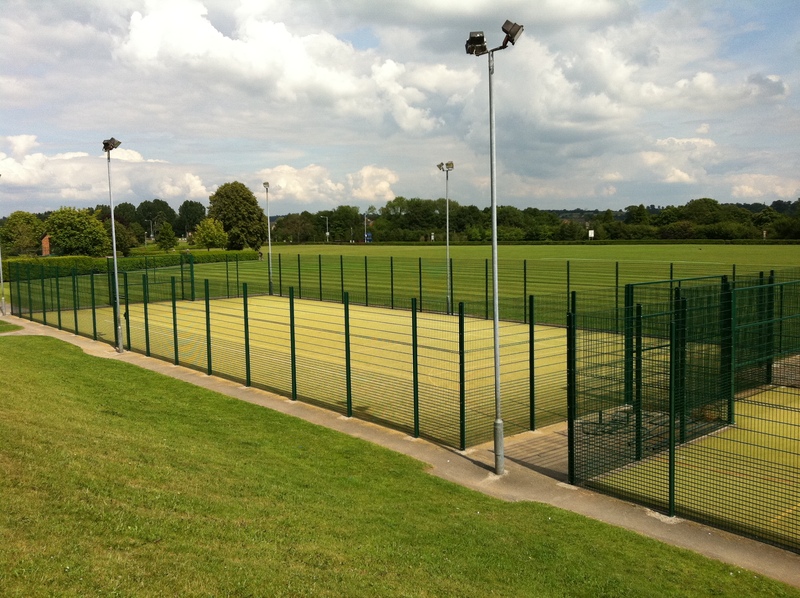 We are also able to supply extra features like secure fencing to go around the perimeter, or floodlights to extend the usability of the pitch. The costs and prices of the sand dressed services we provide will of course vary for each project, depending on the specification of work and the existing conditions of the area. We can help you keep costs down by compromising on certain aspects of a 2nd generation surfacing installation, such as the surface specification and the extra equipment you choose to install. Our aim is to give you great value construction and cleaning services for your hockey pitch which give you the top quality end result you want at a price to fit within your budget. What Size is a Sand Dressed Court? 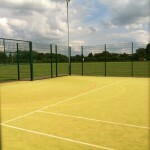 There are no set dimensions for our sports surfaces as the sizes can be altered to suit each client. If you have limited outdoor space we can reduce the size to fit with this, or if you have a big area you might choose to create a multi use facility. We could also make the dimensions smaller to cut costs of you need to stick to a budget and can’t afford to install a full sized pitch. It’s completely customisable, and if you only need to have a recreational facility then the area can be as small or big as you like. The size obviously has an impact on the overall price of the work, so this is something to bear in mind when looking to complete a project like this. If you let us know how much you would like to spend and what playing qualities you need, we’ll make sure the overall design and dimensions are suited to this. 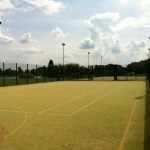 Cleaning and maintenance is also included as one of our sand dressed services for hockey pitches as it’s important to look after a 2G artificial grass surface once it has been installed. Sand dressed pitch maintenance can include regular brushing and clearing the surface of any dirt and debris to prevent the infill becoming contaminated. If the sand infill particles do become contaminated by dirt, this can lead to a loss of porosity which affects the drainage qualities and ultimately means that the pitch could become waterlogged or flooded. 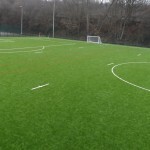 Artificial grass surface rejuvenation may be required if the surfacing becomes very dirty, this involves extraction of the contaminated infill and installation of a new layer of clean sand which revives the pitch and improves the playing quality. Carrying out regular cleaning and maintenance for a hockey surface can also help cut costs for the overall sports facility as it keeps the pitch in top condition and reduces the likelihood of any damage or weathering affecting the surface. This damage could be costly to repair in the future if your 2G pitch isn’t looked after, so it’s important to include cleaning and maintenance costs when planning a budget for a construction project. Having a great quality 2G sports facility is an investment for your organisation, so it’s vital that it gives the best possible performance and safety characteristics and can be enjoyed for a long time by everyone who uses it. We have worked with numerous different clients including schools, colleges and leisure centres when building these facilities. As sand dressed suppliers and installers there are lots of options that we can offer to customise the final product and make it exactly what you want. For organisations who want to focus on playing hockey, this is the perfect specification as it provides ideal playing qualities for training and matches. 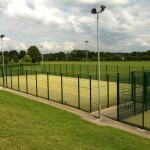 Please fill in our enquiry form if you need more information on the service we provide for hockey pitches in the UK. One of our experienced team members will get back to you with an idea of costs for the work. The prices tend to vary depending on locations, area sizes and many other factors, but we’ll do our best to make it affordable for you. 1 What is a Sand Dressed Pitch? 3 What Size is a Sand Dressed Court?